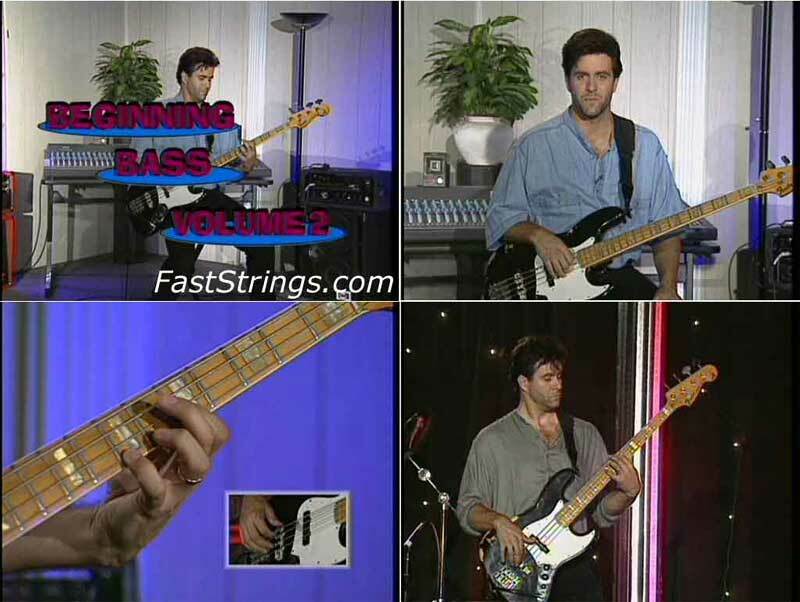 Beginning Bass Volume 2 continues the lessons found in Starter Series: Beginning Bass, Vol. 1, delving deeper into the concepts needed to make the leap from beginner to intermediate bass player. Some of the topics discussed include pentatonic scales, funk grooves, chords, and harmonics. This series is great. Good coverage on the basics, really gets you started on what you need to know to begin playing. This dvd goes more in depth from the first one, giving you more to work with and what you need to take the next step. Learning to play an instrument has never been easier or more affordable. This dynamic series offers volume one and volume two for beginning guitar, bass, drum and keyboard. Volume one covers the basic fundamentals every student needs to get started. Volume two graduates to the intermediate level further building a stronger foundation. Each DVD is filled with rock solid information from beginning to end, as well as live band footage which allows the student to play along. Each DVD runs approximately 30 to 40 minutes of lesson content and comes complete with an accompanying booklet showing examples in notation and tablature. This video features the extraordinary talents of LARRY ANTONINO, one of the most innovative bass players on the scene today. He has performed and recorded with such artists as Jeff Beck, The Jazz Crusaders, Bobby Caldwell, Chaka Khan, Michael McDonald, Ronnie Laws, Angela Bofill and Steve Lukather. Larry is also considered a very versatile session player. He can be found in the studio recording everything from film soundtracks and album dates, to commercial jingles and television shows. In addition, Larry is a songwriter and lyricist, composing for such artists as Ronnie Laws, Air Supply and Jeff Tyzik. Jam Session with a Live Band!